Ray Group is a private property development, investment and management group founded more than 40 years ago. The group has been widely acknowledged by the Australian property industry for its delivery and operation of inspirational, creative and innovative property projects. Our expertise encompasses site identification, acquisition, development, project marketing, sales, leasing and asset management. We have been responsible for some of Australia’s most notable master-planned and integrated projects such as the $1 billion Salt Village development at Kingscliff in Northern New South Wales as well as the design and construction of homes and hotels, villas and apartments, and neighbourhood shopping centres all along the east coast of Australia – from Mount Hotham in the Victorian ski fields to the Sheraton Mirage and Balé Resorts in Port Douglas, Far Northern Queensland. The company is based on Queensland’s Gold Coast and offers the expertise of a core team of dedicated project managers, financial accountants and administrative personnel, as well as access to our network of experienced and highly competent consultants specialising in town planning, engineering, surveying, traffic control, quantity surveying and architectural works. We currently specialise in the development, and subsequent ongoing ownership and management of integrated commercial leasehold properties such as retail convenience based shopping precincts. Tom Ray was born in Sydney and raised on the Gold Coast where he attended The Southport School. In 1994 he graduated from Bond University with a Bachelor of Communications (Business) degree in Marketing and Communication. He began his career in Sydney at advertising agency John Singleton Advertising (becoming Singleton Ogilvy and Mather) where he was a Group Account Director; then moved to Macquarie Bank Limited as Business Development Manager and Assistant to the Executive Director in the Macquarie Banking and Property Group. In 2001, Tom moved to London, UK and became the Managing Director of 0800 Reverse Limited, a wholly-owned subsidiary of Australian-listed telecommunications company, Reverse Corp Limited. Tom returned to Australia in 2003 to join his father at the Ray Group. After the untimely passing of his parents, Brian and Kathy Ray in 2005, Tom became Executive Director of the group. Tom has been an active member of his community. He is one of the founders of the Salt Surf Life Saving Club at Salt Village. He is the current Chair of the Perry Cross Spinal Research Foundation, a past Councillor of Bond University, past President of the Bond University Rugby Club and a current director of The Southport School Foundation. Jack was born and raised on the Gold Coast where he attended Somerset College. In 2005 he graduated from Bond University with a Bachelor of Business Law Degree. 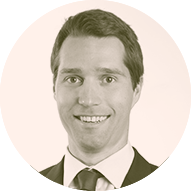 Following graduation from university, Jack worked as Development Manager for the listed Consolidated Properties Group and Trinity Funds Management Group in a role which included the construction management and leasing of several Coles and Woolworths anchored shopping centres. 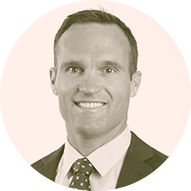 Prior to becoming Executive Director of Ray Group in 2009, Jack was Ray Group’s Director of Sales based in both its DP Village Mount Hotham and Salt Village, Kingscliff project marketing offices. Jack is currently a Director of Life Education Queensland. He holds a commercial helicopter pilot’s licence and is the Managing Owner and Chief Pilot of Helicopter Services Queensland. Luke was born in the Northern Rivers of NSW however was predominately raised in the Blue Mountains. After finishing high school Luke completed a Diploma in Hotel Management while working in various prestigious resorts in the Blue Mountains. He commenced his accounting career working for Peppers Leisure Ltd whilst attending Charles Sturt University as an accounting degree student. He continued to gain experience in both hotel management and accounting for 5 years before taking a years leave to travel in the United Kingdom and Europe. 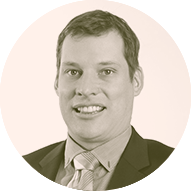 On return to Australia in 2004 Luke relocated to the Northern Rivers where he completed his accounting studies and commenced work with Ray Group as an Accounts Manager. In 2008 Luke took on the role of Group Accountant working alongside the Directors and Chief Financial Officer and then In 2011 he became Group Finance and Asset Manager responsible for the general management and financial reporting of the Ray Group’s portfolio of commercial property and going concern businesses.